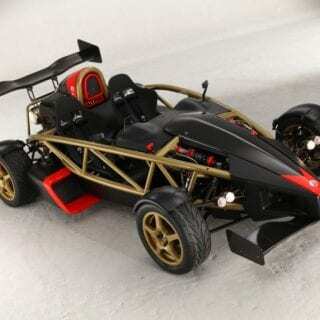 The Ariel Atom V8 500 is a super-powerful, ultra-lightweight track car and perhaps one of the most insane vehicles ever to reach (limited) production. 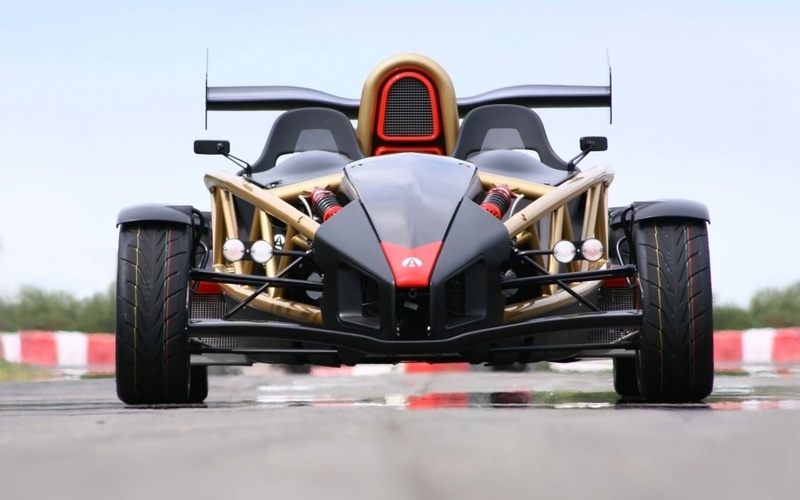 With 500 horsepower to move around just 1,212 pounds, the Atom V8 500 performance is nothing short of astounding. 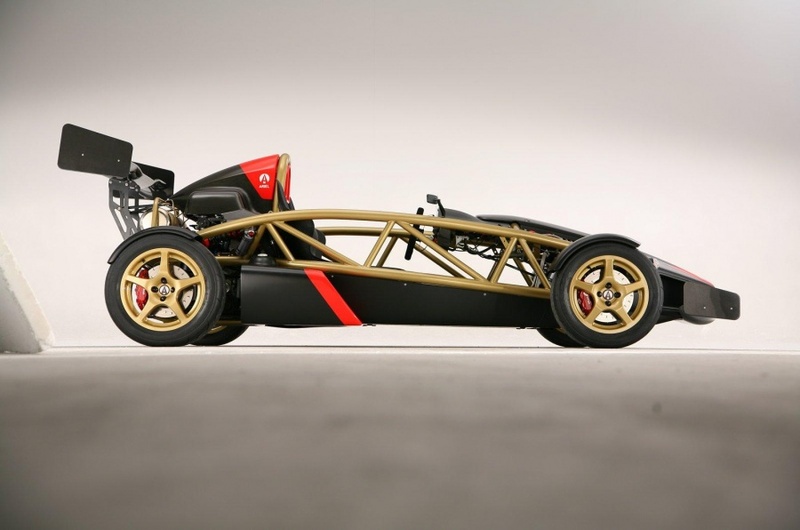 One of the most unique design aspects of the Atom V8 50 is the tubular chassis that not only supports the car, but replaces nearly the entire body that would be used on any other vehicle. 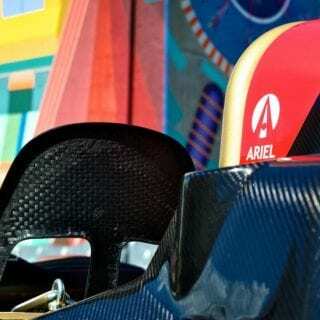 This exposes virtually every component to the elements, from the front brakes to the engine, but also drops the car’s curb weight to just over half a ton — making it far quicker and more nimble than most supercars. 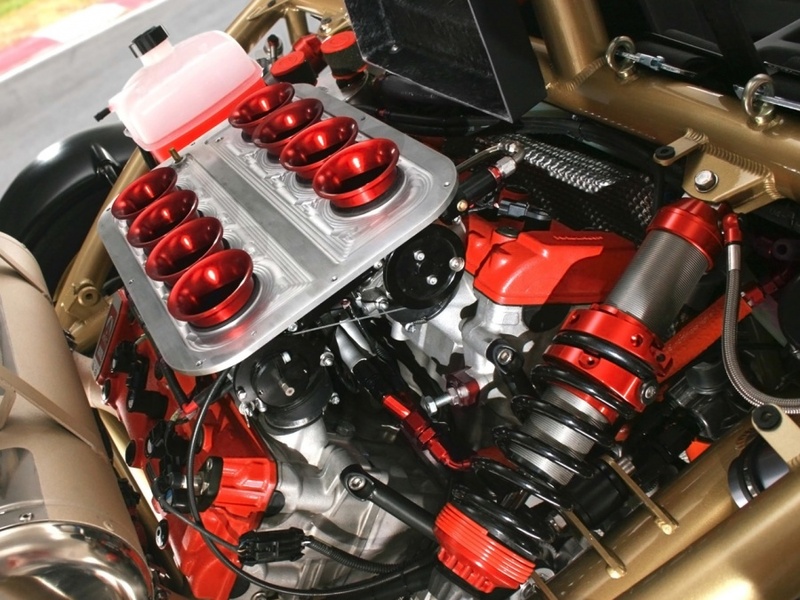 Providing power for the Atom V8 500 is a 3.0-liter eight-cylinder motor with a stratospheric redline of 10,500 rpm. 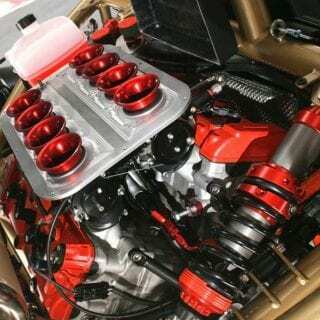 This alloy and aluminum powerplant features dry sump lubrication and eight throttle bodies to allow the driver to quickly summon the car’s full 500 horsepower might. 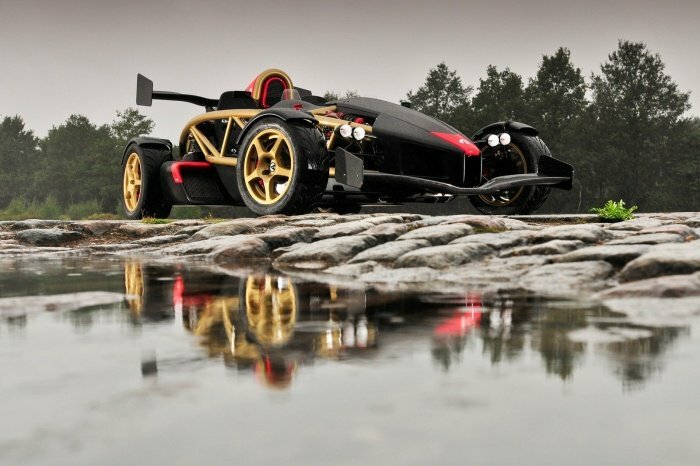 The benchmark zero-to-60 mph sprint is achieved in under three seconds. 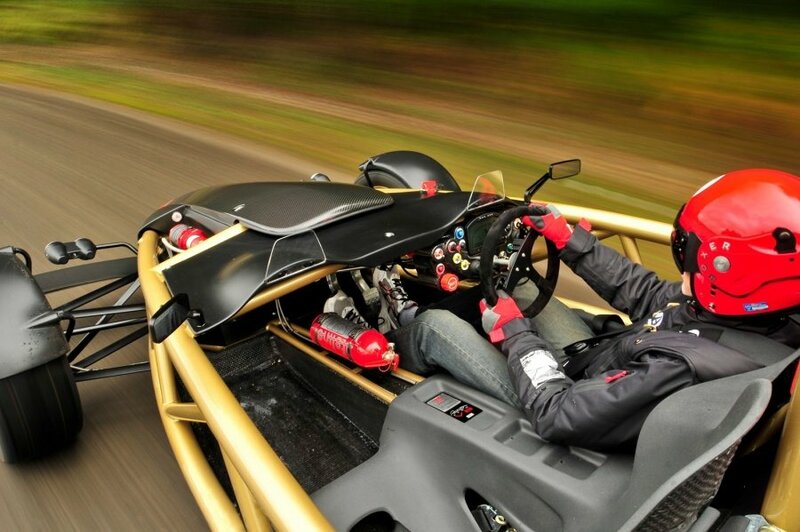 Handling shifting duties on the Ariel Atom V8 500 is a six-speed sequential race gearbox with an adjustable limited slip differential and gearsets that can be customized to suit the tastes of individual buyers.. Gearchanges occur via a paddleshift system that achieves up-shifts in 40 milliseconds and downshifts in 50 milliseconds with the staggering capability of five downshifts in less than a second. Acceleration is explosive thanks to the no-lift up-shift capability of the gearbox, which can also be put in automatic mode for city driving, should one be insane enough to use the Atom V8 500 for such a purpose. 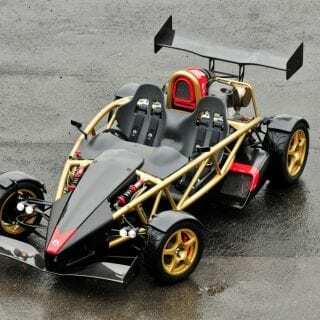 Ariel says that the inboard pushrod suspension of the standard Atom has been upgraded for the Ariel Atom V8 with chromoly aerofoil section wishbones and pushrods coupled with magnesium wheels to reduce unsprung weight. 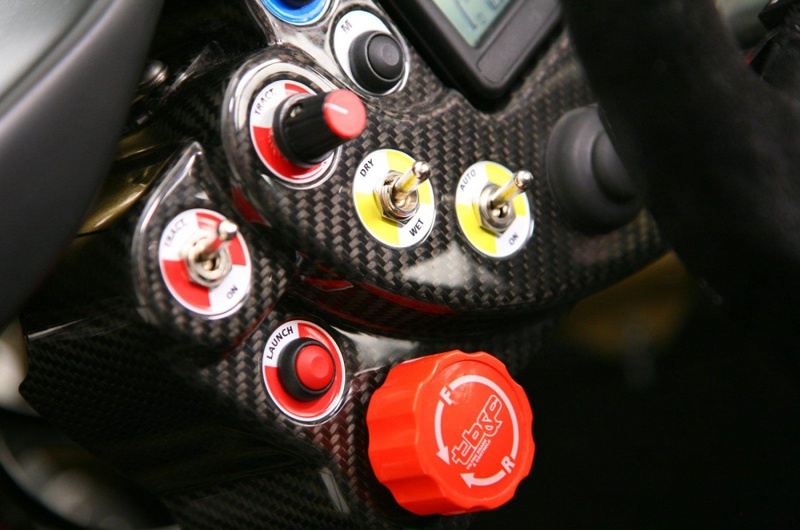 Dampers and springs were developed specifically for the car and feature lightweight aluminum monotubes with remote reservoirs that allow for three-way adjustability (high speed compression, low speed compression, rebound) that is coupled with a unique four-way spring stiffness adjuster. 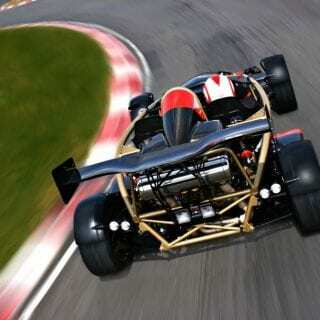 The myriad different suspension settings allow buyers to optimize the Atom V8 500 for nearly any track environment. Inside, the car benefits from a new LCD display features a shift light, gear indicator and programmable functions that show a range of car and engine information. The driver can scroll through information from air, water, oil and gearbox temperatures to fuel, oil and manifold pressures if required. 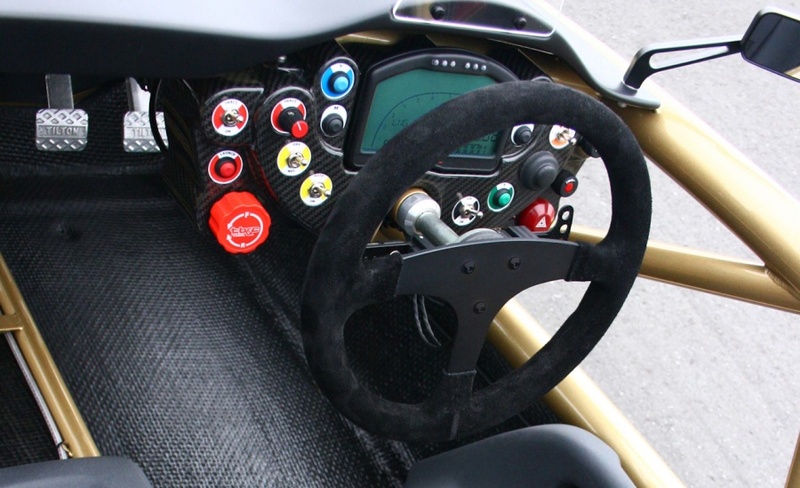 Behind the paddle shifter sits a new panel housing the normal Atom controls plus tiered switchgear for adjustable traction and launch controls, wet/dry settings, gearbox settings, LCD display and menu functions. 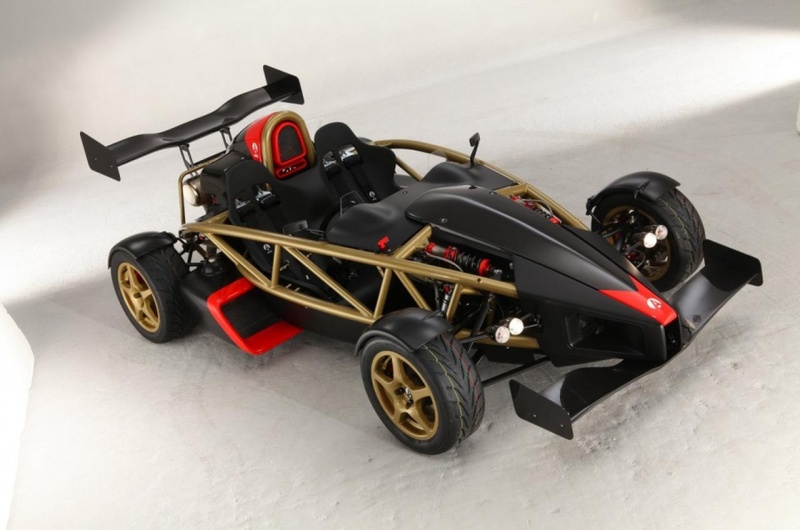 The chassis of the Ariel Atom V8 is finished in a unique golden hue, while exterior changes include front and rear adjustable carbon fiber airfoils . 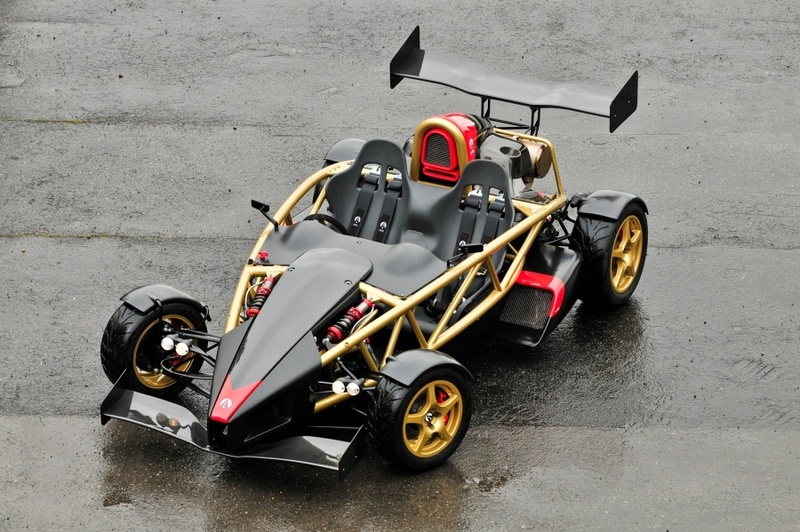 Only 25 ArielAtom V8 500’s will be produced, and all are already spoken for. Truth be told, the Atom V8 500 doesn’t really have any direct competitors. 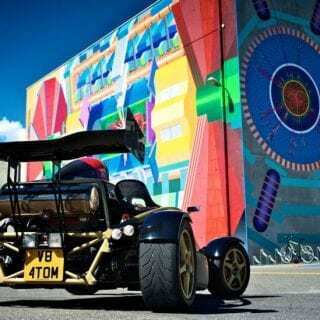 The closest road-going equivalent would perhaps be a Lotus Elise with a small-block V8 shoehorned into the engine compartment, while the KTM X-Bow shares a minimalistic design philosophy but offers far less power. 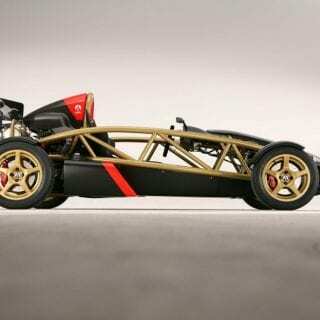 Ariel announced in February 2008 its latest Atom variant, the Ariel Atom V8 500. 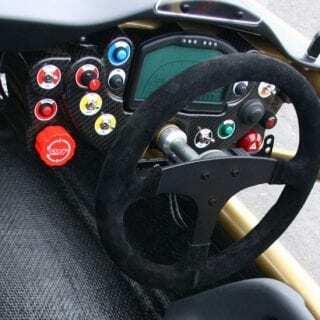 It features a 500 horsepower 3.0 litre John Hartley designed V8 engine, carbon fibre body panels and aerofoils, chromoly aerofoil wishbones, integrated function steering wheel, Alcon four-piston brake calipers, and Dymag magnesium wheels. The engine weighs 90 kg (198 lb) and is coupled to a Sadev 6-speed sequential gearbox to cope with the increased power over the Honda unit. 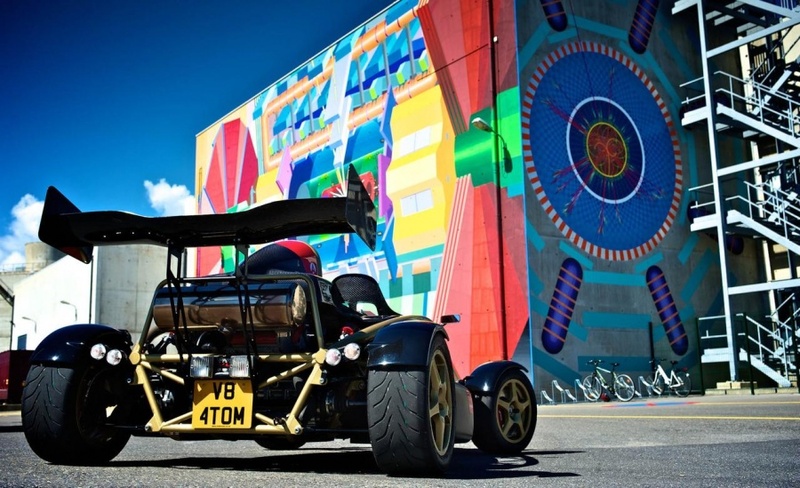 During the development process the RS performance engine was replaced by a unit prepared by Hartley Enterprises giving the final production version of the 550 kg (1,213 lb) car 900 bhp/tonne. 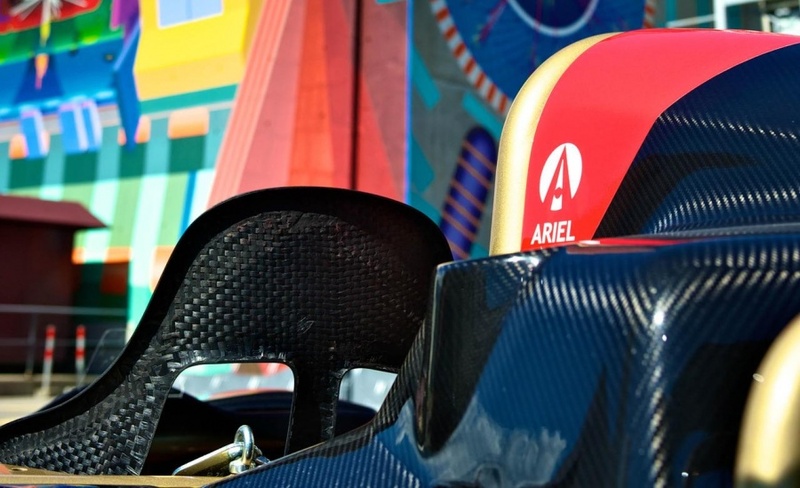 Ariel claims this variant will accelerate from 0-60 mph in “less than 2.3 seconds”. 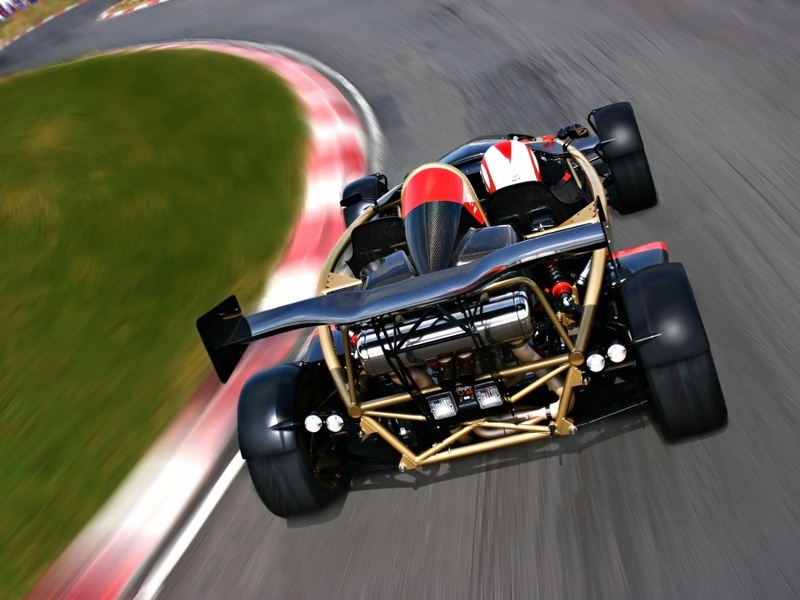 On 23 January 2011, the Ariel Atom V8 500 set the lap record around the Top Gear test track, with a time of 1:15.1, making it the fastest road-legal car to go around the track – a record that stood for just over two years, until the Pagani Huayra completed a lap in 1:13.8 on 27 January 2013.